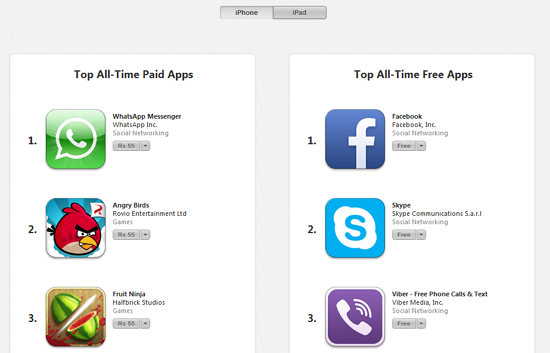 Apple in celebration of 50 billion app downloads milestone, the company unveils complete list of All time Top Apps. This list will be changed by according to your country. Below the list shows All Time Top Apps in India.